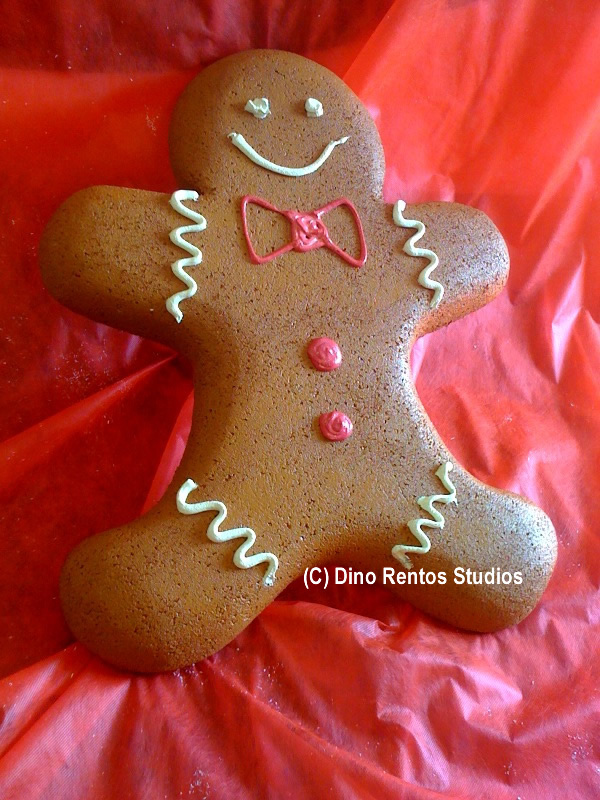 Giant Gingerbread Man Foam Prop - 24 Inches - Dino Rentos Studios, INC. These are fun props for your retail display! Also great for a holiday themed display. These fun Gingerbread Men props are available in 12", 24" and 36" online. Custom sizes and shapes can be made. 12" Gingerbread Man is carved from a 1" tall foam block. 24" Gingerbread Man is carved from a 1" tall foam block. 36" Gingerbread Man is carved from a 2" tall foam block. 48" Gingerbread Man is carved from a 2" tall foam block. Plastic coat the cookie to use outdoors. Icing is paint. You can upgrade to 3D Icing. Price is for 1 Gingerbread Man. Call us to have your custom gingerbread man created!